The Aventure Staffing management team says there were several reasons Fairmont was a desired location for their next branch. It is one of Minnesota’s leading agricultural communities, but it also offers strong industrial and medical opportunities, all of which are Aventure Staffing specialties. In addition, the fact that Fairmont has so much to offer potential employees in terms of quality of life, also played into the decision. 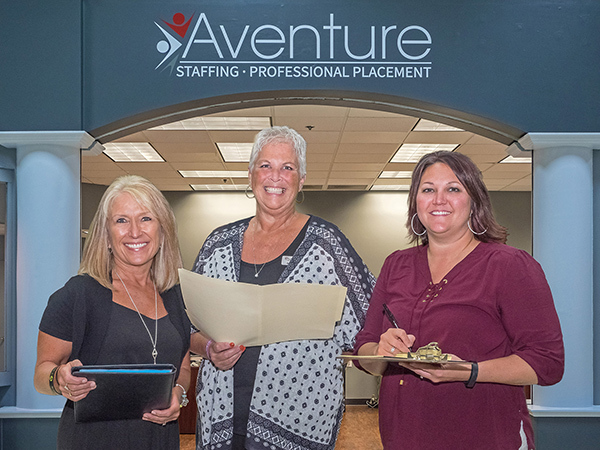 Aventure Staffing has other offices in small towns very similar to Fairmont, and have been successful because they can develop strong relationships with clients and a good reputation to bring in candidates. “On top of the vast employment potential, Fairmont is an almost idyllic place to live, raise a family, belong to a real community and experience all that nature has to offer,” says Gail Anderson, Regional Operations Manager. Aventure Staffing was founded in 1983 and has seven other branches throughout Iowa and Nebraska. In addition Aventure Staffing also provides on-site staffing assistance for a few large employers in Iowa. Aventure Staffing already had a relationship with a key employer in Fairmont and felt the timing was right to start building on that.